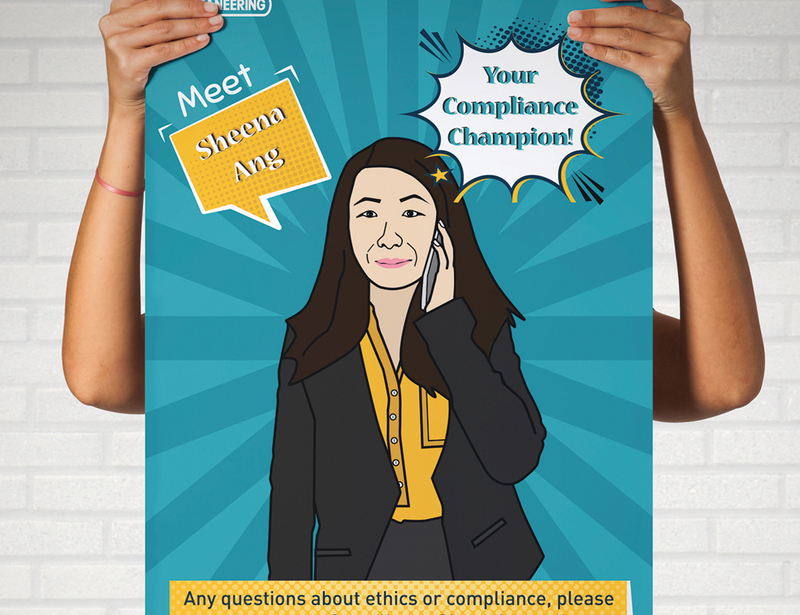 This poster was for Oceaneering Compliance Department to introduce one of their Compliance Champion. 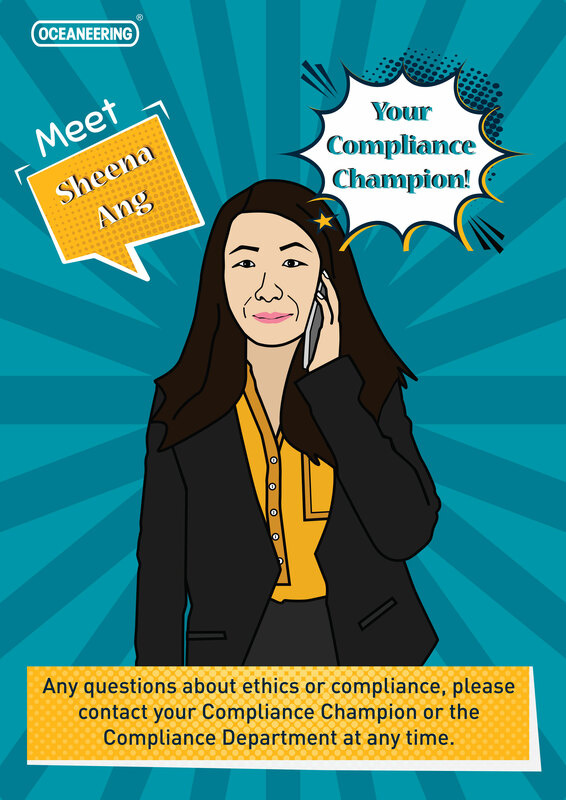 Role: I received a low resolution picture of a compliance champion and was asked to create a creative poster. Creating a poster using a low res image was not possible so I decided to create an illustration out of that picture and using a retro theme created a poster.